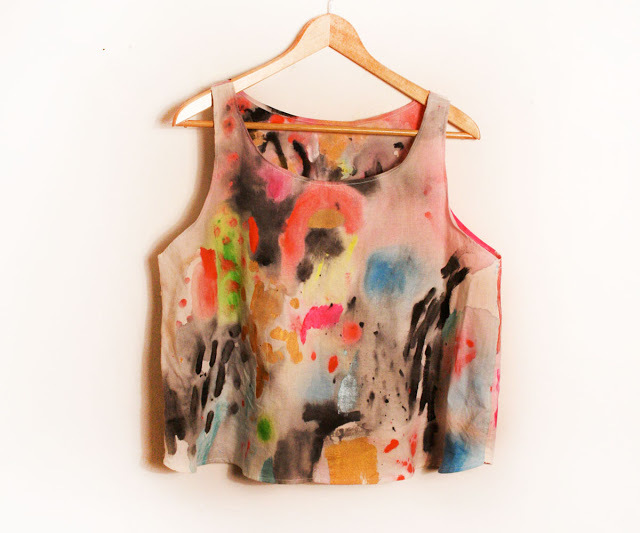 I'm loving local artist and CCA grad Kindah Khalidy's hand painted textiles. Total wearable art party. 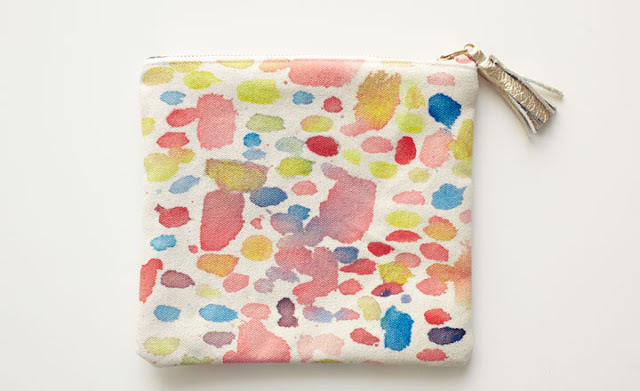 Almost any surface is a canvas, and her pretty palette of abstract, eye-catching splatters adorns everything from clutches and pouches, to pillows, scarves, and wearable paintings. 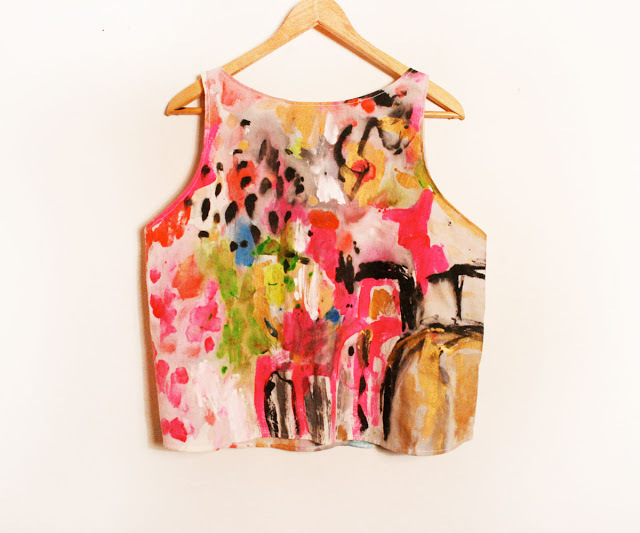 Her work was recently featured at a pop up shop at Mercy Vintage that included my hands down favorites: HAND PAINTED PARTY TANK TOPS. 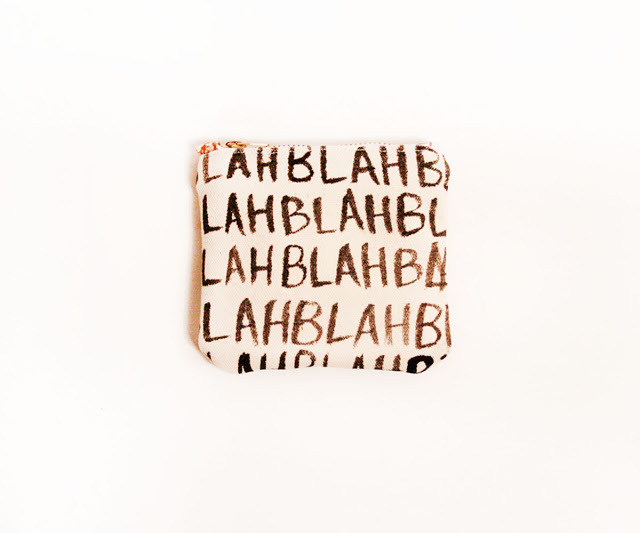 She also just released this Cotton Candy clutch edition for Of a Kind, which I love the idea of — they partner with up-and-coming designers to produce exclusive, limited edition pieces and tell the story of the designers' background, inspiration, and process. In many ways it's the opposite of fast, mass-produced fashion; you can buy a piece produced in a small run and feel like you know who made it and where it came from. It's a great way to discover and support new designers and snap up a 'few-of-a-kind' work that you feel like you can tell a story about. I'll definitely be keeping my eye on Khalidy's paintings and textiles and hopefully more local events where we can get our hands on them!